As the research coordinator at the Museum, one of my jobs is to catalog past issues of The Seminole Tribune, beginning with the year 1984. Boxes and boxes of newspapers later, it is fair to say that doing so has been a real trip through time. The newspaper has reported on elections, births, marriages, sporting events, rodeos, health issues, community events, Tribal fairs, rodeos, cattle drives, gaming, princesses, patchwork contests, veterans, 4-H clubs, college graduates, senior services, and the list goes on. Placed within the fast-paced blur of news reports, Betty Mae Jumper’s column on life and how to live it stands as a refuge of peace and calm – and common sense. 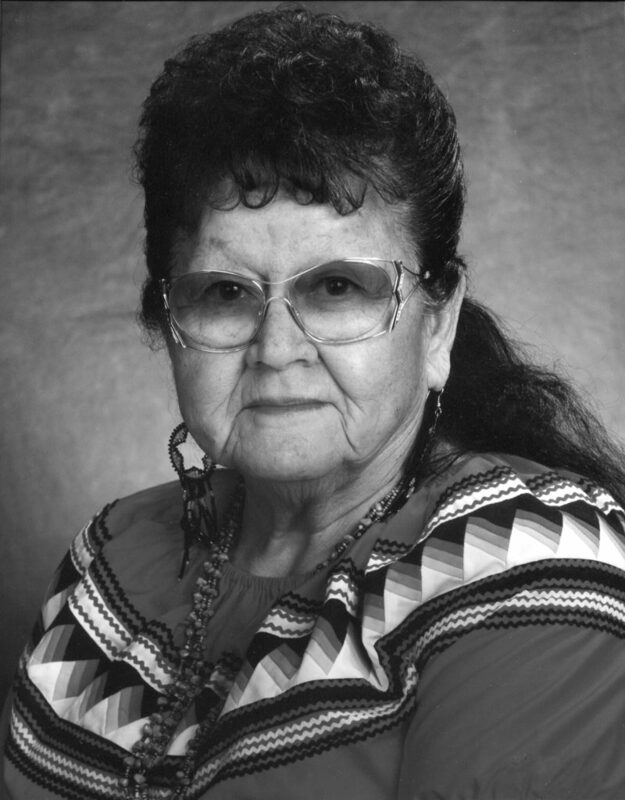 To Betty Mae, family, faith, and her Tribe were everything. She believed change and tradition could live side by side strengthening and complementing each other. She wanted more for people than what she thought some wanted for themselves – personal responsibility and a return to the old-fashioned values of hard work, family togetherness, and clean living – and wasn’t shy about expressing it. Her columns were often filled with pleasant memories of times past, but some were warnings of the consequences of poor decisions. In the Nov. 18, 1985 issue of the Tribune she wrote about the dangers of Highway 27, in an editorial titled “Death Ride, “27”. Even an editorial like this one, about the dangers of a roadway, rang out with her conviction that people should care about others, be responsible, and do what is right because it is the right thing to do. In another short editorial, found in the column “Straight From the Horse’s Mouth (Seminole Tribune, May 19, 1985), Betty Mae paid tribute to her mother, Ada Tiger. She reminded readers that next to God’s love for his children is the love of a mother for her child, so Mother’s Day should be every day. What mother would argue with that? In “It’s a Crying Shame” (Seminole Tribune, May 18, 1987) Betty Mae addressed one of her greatest concerns: the devastating consequences of drug and alcohol use. 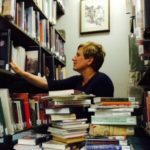 Throughout her tenure with the Tribune, she wrote about the pain of composing obituaries, missing loved ones, and the tragedy of death before its time. This particular column included her admonition and plea to responsible adults to be rid of drugs and alcohol, scare off the dealers, and save the children. The next issue of the Tribune, published June 1, 1987, contains another column by Betty Mae on the very same subject. “The Love of God and His Power Inspired a Dream of Achievement” (Seminole Tribune, Dec. 28, 1987), a tribute to Betty Mae written by Ed Foley, said this about the girl who had known hardship but turned it into “a positive force”: “I sensed a different kind of power [from that in the corporate world] as I talked to Betty Mae”. He was speaking of the wisdom and confidence she radiated, making him want to be a better person. That’s the kind of person Betty Mae was – able to inspire people to do better because she believed in her heart that they could. If she left only one legacy behind it would be her faith and hope and confidence in the people she loved and served, without limitations or labels. She was the best kind of leader – the kind who uses personal adversity and struggle as a means to developing the wisdom, understanding, and strength it takes to reach greatness. Clarification: Last month’s Museum article “Shako: From military to marching bands” was written by Robin Croskery Howard, not Nora Pinell Hernandez.